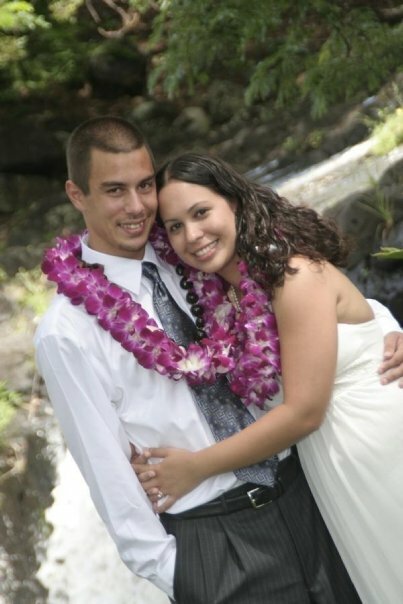 My hubs and I eloped and got married in Hawaii. It was a dream vacation and wedding and honeymoon all rolled into one. Despite the exotic backdrop of paradise and getting married in a botanical garden, our vows were the traditional wedding vows that I'm sure we've all heard before. We didn't really think too much of it, those were the words we were supposed to say and we said them. But as we were watching Netflix the other day, we caught an episode of Orange is the New Black and [SPOILER ALERT! Don't read if you haven't watched the latest season!] a couple of the main characters got married in the prison chapel and wrote their own wedding vows. I was way too afraid back when I was 24 years old to really be that vocally vulnerable about my feelings and I don't think you can truly appreciate marriage until you've actually been married. But after watching that episode, it kind of made me wish we had written our own vows. to love you. YOU. Not some perfect unicorn idea of you and what a husband "should" be. But you. All of you. to be there when you need me. Not only when it's easy and convenient. But during the hard times, too. Those times when life punches you in the gut and kicks you when you're down. I'll be right there next to you. to listen. And to really hear you. Words and communication are so important, probably the most important thing. You're my best friend and you can tell me anything. to cherish every moment we have together. To never wish away even a minute of a day that we're together. Because being with you makes me the happiest I've ever been in my life. to remind you every day that you are loved. Even when we're mad at each other. To touch your foot with mine and know that everything will be OK.
to be your partner in crime and not take life so seriously. To laugh at your dirty jokes and pester you with my corny jokes. To remind you of every inside joke we've accumulated over the years with just one look or one word. Laughter is your love language and I promise to honor it as often as I can. to be your traveling buddy and explore and try new things. I can do anything with you by my side. I'm never afraid because I know you have my back always. to always be your biggest cheerleader. I'm so proud of you. You're a good man with a big heart and an even bigger smile. to love you forever. Literally. You're a part of me like the air that I breathe. I'll never take you for granted. I don't make these promises lightly or because they're expected of me. I mean every word with every fiber of my being. I knew from the moment I met you that I was yours and you were mine. A mated pair for life.